FUEL EFFICIENT 33 MPG Hwy/26 MPG City! CD Player, Aluminum Wheels, Turbo Charged Engine, Back-Up Camera, Bluetooth, iPod/MP3 Input.WHY BUY FROM USHere at Baxter Volkswagen Omaha, our commitment to our customers goes far beyond your initial vehicle purchase. We don't want you to just have a great buying experience at our Volkswagen dealership in Omaha, NE, we want to provide you with all that you need to have a wonderful life with your new car.Fuel economy calculations based on original manufacturer data for trim engine configuration. CD Player, Bluetooth, VW CARE, Alloy Wheels, Turbo, iPod/MP3 Input, Back-Up Camera. EPA 33 MPG Hwy/26 MPG City!WHY BUY FROM USHere at Baxter Volkswagen Omaha, our commitment to our customers goes far beyond your initial vehicle purchase. We don't want you to just have a great buying experience at our Volkswagen dealership in Omaha, NE, we want to provide you with all that you need to have a wonderful life with your new car.OPTION PACKAGESVW CARE Volkswagen prepaid scheduled maintenance contract w/10,000-mile & 20,000-mile servicing for cars.Fuel economy calculations based on original manufacturer data for trim engine configuration. Sunroof, Heated Seats, Turbo, Satellite Radio, Back-Up Camera, Alloy Wheels. EPA 33 MPG Hwy/26 MPG City!WHY BUY FROM USHere at Baxter Volkswagen Omaha, our commitment to our customers goes far beyond your initial vehicle purchase. We don't want you to just have a great buying experience at our Volkswagen dealership in Omaha, NE, we want to provide you with all that you need to have a wonderful life with your new car.Fuel economy calculations based on original manufacturer data for trim engine configuration. Heated Seats, Bluetooth, DRIVER ASSISTANCE PACKAGE, Alloy Wheels, Turbo, iPod/MP3 Input, Back-Up Camera. EPA 32 MPG Hwy/24 MPG City!WHY BUY FROM USHere at Baxter Volkswagen Omaha, our commitment to our customers goes far beyond your initial vehicle purchase. We don't want you to just have a great buying experience at our Volkswagen dealership in Omaha, NE, we want to provide you with all that you need to have a wonderful life with your new car.OPTION PACKAGESDRIVER ASSISTANCE PACKAGE Blind Spot Monitor w/Rear Traffic Alert, Forward Collision Warning, autonomous emergency braking w/pedestrian monitoring (front assist).Fuel economy calculations based on original manufacturer data for trim engine configuration. Heated Seats, Aluminum Wheels, Turbo Charged, Back-Up Camera, Bluetooth, iPod/MP3 Input. EPA 32 MPG Hwy/24 MPG City!WHY BUY FROM USHere at Baxter Volkswagen Omaha, our commitment to our customers goes far beyond your initial vehicle purchase. We don't want you to just have a great buying experience at our Volkswagen dealership in Omaha, NE, we want to provide you with all that you need to have a wonderful life with your new car.EXPERTS ARE SAYINGEdmunds.com's review says The GTI has good on-center feel with an immediate but gradual reaction to steering input when moving the wheel from center. Steering effort is light in most modes, firming up noticeably, but not uncomfortably, in Sport. Effort builds up slightly as speed increases..Fuel economy calculations based on original manufacturer data for trim engine configuration. Nav System, Moonroof, Heated Leather Seats, Aluminum Wheels, Turbo Charged Engine, Back-Up Camera. FUEL EFFICIENT 33 MPG Hwy/26 MPG City!WHY BUY FROM USHere at Baxter Volkswagen Omaha, our commitment to our customers goes far beyond your initial vehicle purchase. We don't want you to just have a great buying experience at our Volkswagen dealership in Omaha, NE, we want to provide you with all that you need to have a wonderful life with your new car.Fuel economy calculations based on original manufacturer data for trim engine configuration. Heated Seats, Bluetooth, Aluminum Wheels, VW CARE, Turbo Charged, iPod/MP3 Input, Back-Up Camera.WHY BUY FROM USHere at Baxter Volkswagen Omaha, our commitment to our customers goes far beyond your initial vehicle purchase. We don't want you to just have a great buying experience at our Volkswagen dealership in Omaha, NE, we want to provide you with all that you need to have a wonderful life with your new car.OPTION PACKAGESVW CARE Volkswagen prepaid scheduled maintenance contract w/10,000-mile and 20,000-mile servicing for cars. Moonroof, Heated Seats, Aluminum Wheels, Back-Up Camera, Turbo Charged Engine, Satellite Radio. FUEL EFFICIENT 33 MPG Hwy/26 MPG City!WHY BUY FROM USHere at Baxter Volkswagen Omaha, our commitment to our customers goes far beyond your initial vehicle purchase. We don't want you to just have a great buying experience at our Volkswagen dealership in Omaha, NE, we want to provide you with all that you need to have a wonderful life with your new car.Fuel economy calculations based on original manufacturer data for trim engine configuration. Moonroof, Heated Leather Seats, Aluminum Wheels, Turbo Charged Engine, Back-Up Camera, FRAMELESS SELF-DIMMING REARVIEW MIRRO.WHY BUY FROM USHere at Baxter Volkswagen Omaha, our commitment to our customers goes far beyond your initial vehicle purchase. We don't want you to just have a great buying experience at our Volkswagen dealership in Omaha, NE, we want to provide you with all that you need to have a wonderful life with your new car.OPTION PACKAGESFRAMELESS SELF-DIMMING REARVIEW MIRROR electronic compass and HomeLink garage door opener. Sunroof, Heated Leather Seats, FRAMELESS SELF-DIMMING REARVIEW MIRRO. SE EXPERIENCE PACKAGE, Alloy Wheels, Back-Up Camera, Turbo Charged. 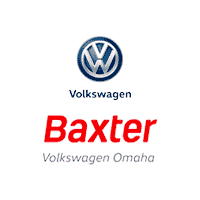 FUEL EFFICIENT 31 MPG Hwy/25 MPG City!WHY BUY FROM USHere at Baxter Volkswagen Omaha, our commitment to our customers goes far beyond your initial vehicle purchase. We don't want you to just have a great buying experience at our Volkswagen dealership in Omaha, NE, we want to provide you with all that you need to have a wonderful life with your new car.OPTION PACKAGESSE EXPERIENCE PACKAGE Enlarged Rear Stabilizer Bar, Fender Premium Audio System w/Subwoofer, 4-Mode DCC Adaptive Chassis Control, FRAMELESS SELF-DIMMING REARVIEW MIRROR electronic compass and HomeLink garage door opener.Fuel economy calculations based on original manufacturer data for trim engine configuration.